It is a third-party product, not manufactured by Nintendo, but its quality will meet your requirements. If you are looking for a N64 Nintendo Classic controller, this will be your best choice. This controller for Nintendo 64 will be an upgrade replacement for your previous model. 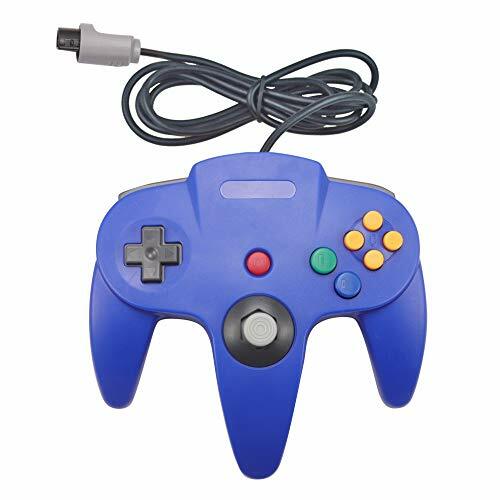 It is compatible with Nintendo 64-bit home video game console, you can use it to play such as: Mario, Perfect Dark, Karting, Super Smash and many other classic N64 games. With this controller, the operating lever is compact and precise, the key response is quick. Please contact us as soon as possible with any questions. We will be at your service at any time. If you have any questions about this product by Joxde, contact us by completing and submitting the form below. If you are looking for a specif part number, please include it with your message.